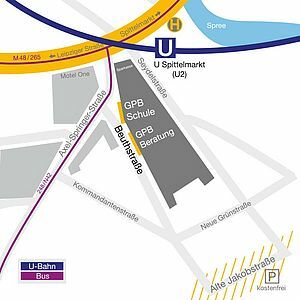 GPB College is located close to the U-Bahn station Spittelmarkt - only 2 min walk! Drop in and see for yourself. 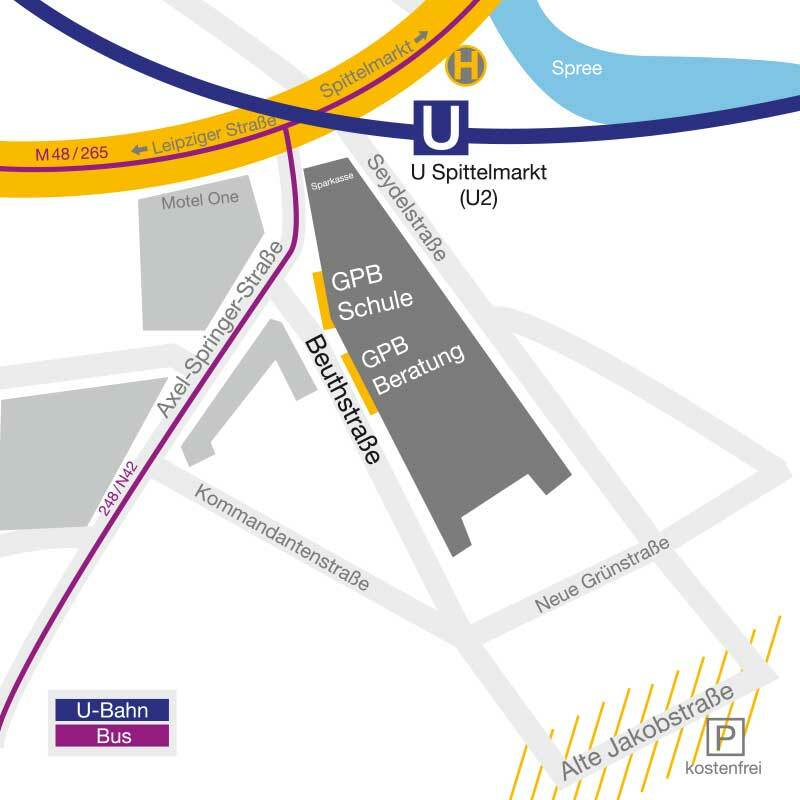 The modern classrooms of GPB College are located at 8 Beuthstraße, Berlin Mitte 10117. The premises are in close proximity to U station Spittelmarkt (U2 and bus M48) thus easily and conveniently accessible. Weekly information sessions are held at 7 Beuthstraße (career advice). Please register in advance for advice. We will be happy to send you our free information material on the educational offers by e-mail or mail. Please contact us to make an appointment without obligation! We look forward to hearing from you.